X-Project is officially open again! Come join us on our new Dreamwidth comms for all the XP goodness you've come to know and love. Hope to see you there! That's right! After almost fourteen years on LiveJournal, X-Project has decided its time to move. This isn't a choice that comes easy; however, following LiveJournal's latest update to its Terms of Services, the players of this fine game have decided they're no longer comfortable staying with LJ. But never fear! We've already found a new home on Dreamwidth, and will be resuming our gameplay there. Same great game, new great platform. Due to this impending move, X-Project will be Closed beginning Monday, April 10, until Thursday, April 13. What does this mean? There will be no new logs or any other kind of posts, in order to ensure that when the move is completed, nothing is left behind. We will resume game play on 4/13 over on our new Dreamwidth comms. Hope to see you there! That's right! After almost fourteen years on LiveJournal, X-Project has decided its time to move. This isn't a choice that comes easy; however, following LiveJournal's latest update to its Terms of Services, the players of this fine game have decided they're no longer comfortable staying with LJ.nBut never fear! We've already found a new home on Dreamwidth, and will be resuming our gameplay there. Same great game, new great platform. In honour of the holiday, which is about ghosts and ghouls and the undead, the mods are announcing the first Log Posting Amnesty Week! Drag out those logs which have slipped through the cracks and make them live again! Resurrect those dead scenes! Bring back the Ghost of the Post! Okay, enough of the bad jokes. If you have logs that you finished and didn't post, now's your chance! Post them to x_logs with a note as to roughly when they happen, and release those unquiet spirits of vague guilt and shame! 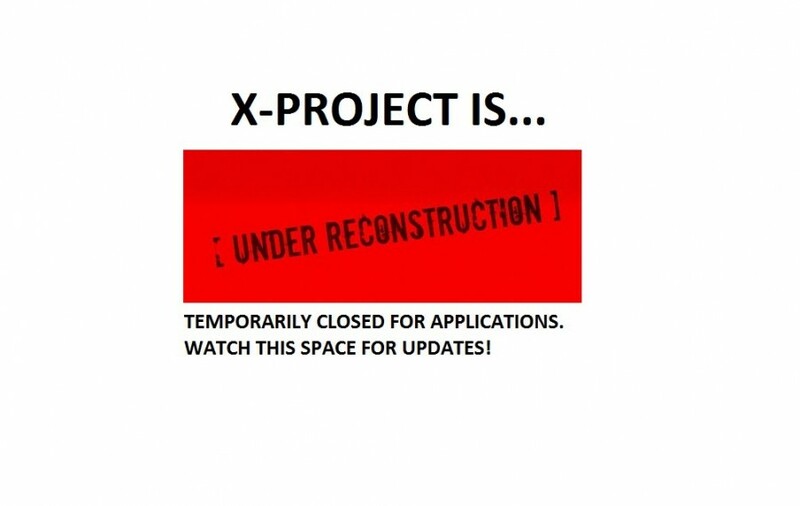 X-Project is undergoing significant reconstruction and will be closed for applications for the duration. Please watch this space for updates and news!